Meet Minny: her life is a complicated whirlwind of unbearable PE lessons, annoying friends and impossible-to-live-with siblings. Minny is desperate for some space in a house spilling over with family and hangers-on. She has to contend with her autistic sister Aisling's school bullies, whilst trying to keep her self-absorbed BFF Penny happy, and look normal in front of new boy Franklin. And on top of this, now Dad has announced that he's returning to London - with his new girlfriend. Secrets, lies and home truths will out, frying pans will be burnt, and arguments will flare up in a story full of humour, honesty and minor household emergencies. 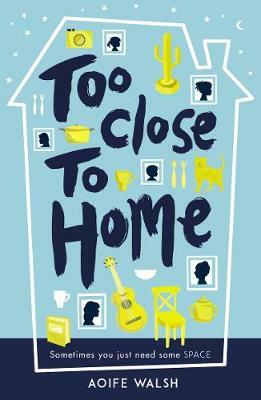 Too Close to Home is a captivating family saga, as jam-packed with characters as Minny’s home is. An intelligent gathering of complex issues involving real characters.